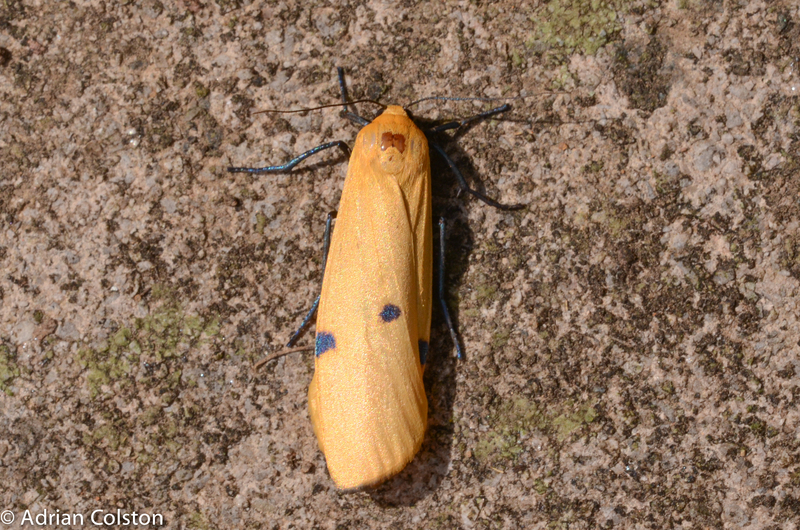 This is a Nationally Scarce A species of moth which means it lives in less than 100 ten kilometre squares in the UK. I have trapped the male of the species several times before but have never seen a female – I have two in the trap the other night. 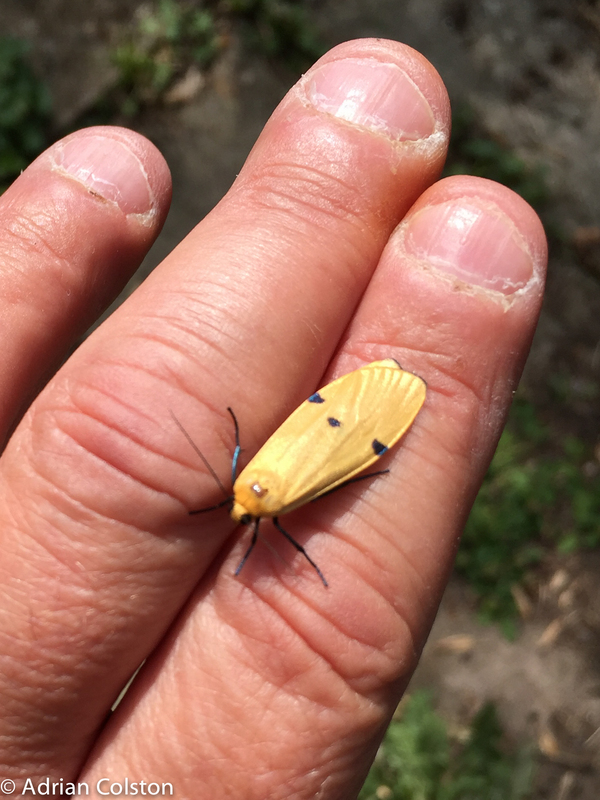 Here is the male for comparison – no spots! 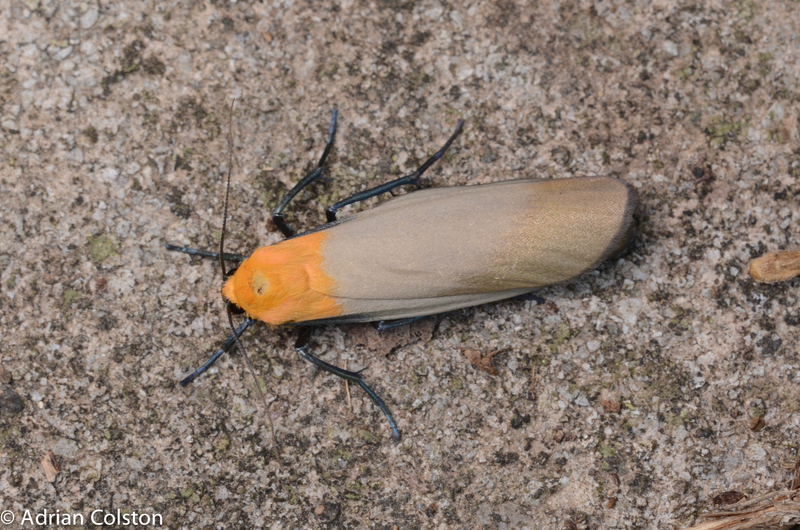 This entry was posted in Moths and tagged Four-spotted footman. Bookmark the permalink.